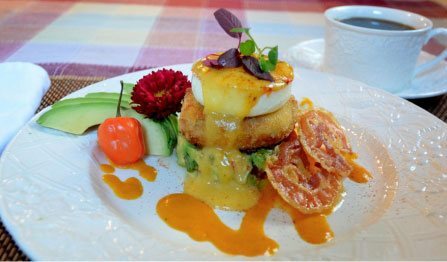 What is a Bed and Breakfast? Have you ever felt lost or under-appreciated during a hotel stay? Are you uncomfortable with the formal yet polite “at your pleasure sir?” Are youfrustrated with paying $20 for a weekend of burnt Starbucks coffee from the lobby coffee shop and added fees for WIFI? If so, take your next vacation to a higher level. An intimate and more personalized getaway is available if you just take a look inside the Bed and Breakfast Inn trade. Have you ever felt lost or under-appreciated during a hotel stay? Are you uncomfortable with the formal yet polite “at your pleasure sir?” Are youfrustrated with paying $20 for a weekend of burnt Starbucks coffee from the lobby coffee shop and added fees for WIFI? If so, take your next vacation to a higher level. An intimate and more personalized getaway is available if you just take a look inside the Bed and Breakfast Inn trade. If you’re asking yourself, “what is a bed and breakfast” I’ll help you understand the simplicity of our trade.As owner/innkeepers we want to make sure you feel as if your choice of residence matters and that you’ll feel especially pampered. Bed and Breakfast inns often serve as the primary business income for the owners, but on occasion it is a secondary income. The owners usually live on-site, or if not, just a few minutes away. When they do not live at the inn, they will usually hire an Innkeeper to be onsite 24/7. At Beechwood Inn we live on the property and we provide all guests our phone number in case they have a need for assistance after hours. Serving as a point of contact at the bed and breakfast, the Innkeeper will run the day to day operations of the inn. There may also be chefs and other professional staff members. If there are additional employees they are invariably people from the local community, not starched professionals from “off the island.” The owners and employees are familiar with area activities and interesting places to visit. Take advantage of that knowledge. 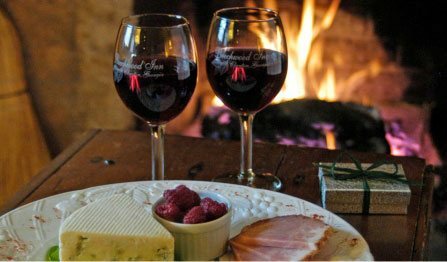 Many inns feature an afternoon social hour offering appetizers, a glass of wine and the opportunity to talk to the innkeeper about the local area and things to do. It also provides a warm venue to meet other guests at the inn. 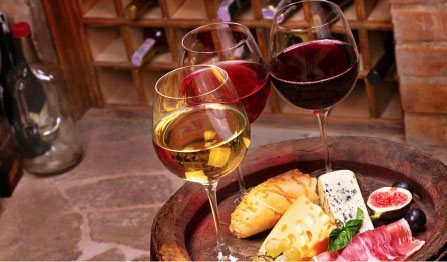 At Beechwood Inn we offer what we have dubbed “Wine-Thirty” during which time we offer a selection of our own locally made wines and appetizers featuring great local products. It’s important for inns and their owners to be members of professional associations – look for evidence of that on their websites. Membership helps keep innkeepers up to date with the industry and guests expectations. The goal of the association is to help both the bed and breakfast inns and the traveling public, and that can be local, regional, national or international. Our major trade association is the Professional Association of Innkeepers International (PAII) https://paii.wildapricot.org/, of which Beechwood Inn is a 14-year member. PAII helps provide guests with stays that are rewarding and memorable. For Innkeepers it offers a wealth of information and education on finance, management, marketing, technology, cooking, decorating, cleaning, safety, customer service and staffing. It also recommends and approves vendors for everything from soaps to appliances and linens. And for inns that strive to provide and even better experience for the traveling public there is Select Registry, Distinguished Inns of North America https://www.selectregistry.com/ . This association provides the highest level of quality assurance in the industry and membership includes surprise inspections of its nearly 400 inns across North America. Inspectors help evaluate the accommodations to ensure a stay at the inn or bed and breakfast will be in a class all its own. Associations like PAII and Select Registry help bed and breakfast inns earn world class reputations in the travel industry. Beechwood Inn has been a Select Registry Member since 2005. There are also state and regional inn-keeping associations that help promote the industry and tourism. Many of these state and regional associations also have inspection criteria for safety and cleanliness. But most of all it’s about accountability of the inn’s operators – that’s what it takes to make sure a bed and breakfast visit meets or exceeds your expectations. At Beechwood Inn we consider ourselves full time professionals at delivering the type of service and quality that will make you repeat guests. I trust this helps you with what a bed and breakfast inn is. According to researchers, it’s the homey or wholesome atmosphere, home-style meals, and ability to converse with other guests that make them so appealing. But we can’t leave out the focus of pampering and personalized service! 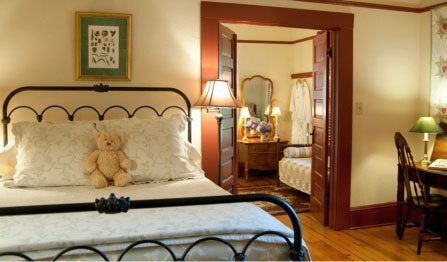 At Beechwood Inn we offer elegant intimacy and warm hospitality. This is our home, so let us create the perfect atmosphere for your unforgettable stay. Our restaurant offers some of the best regional food, and our wine cellar features the best local wines. We pride ourselves on our accommodations and attention to detail. We invite you to view our rooms and rates. Just visit https://beechwoodinn.ws .